For the most demanding applications, Envitech Venturi scrubber system uses a five-stage process consisting of a quencher, condenser/absorber, Venturi scrubber, entrainment separator, and optional wet electrostatic precipitator. 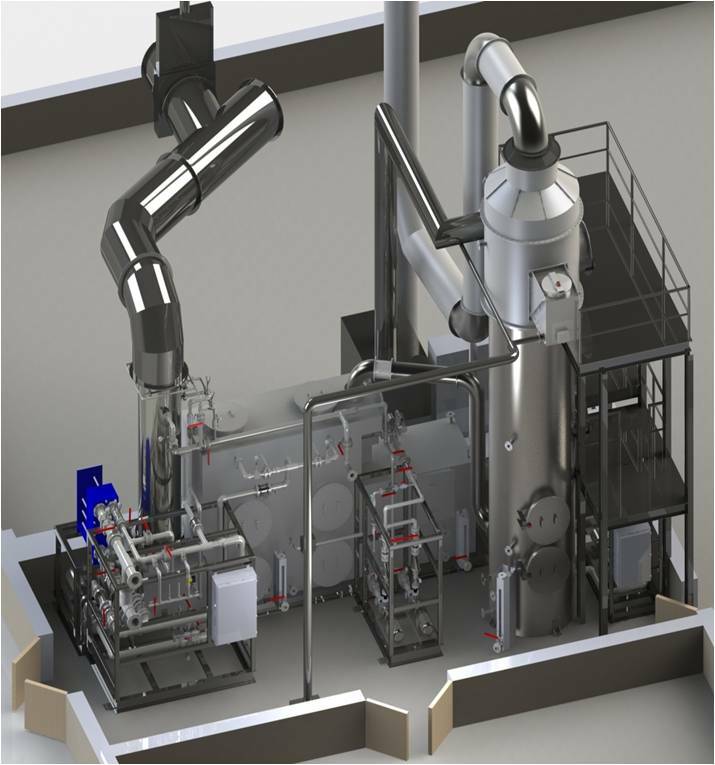 This system provides maximum efficiency and reliability in removing sub-micron particles as well as acid gases and heavy metals. In addition to enhanced collection efficiency, Envitech Venturi scrubber systems dramatically reduce the volume of gas handled by the system as well as the total energy consumption. Envitech's Venturi scrubber takes advantage of water vapor condensation to enhance sub-micron particulate collection. In the condenser/absorber, water vapor is condensed from the process gas stream. Some of the water vapor condenses on the particles causing their mass to increase and making them easier to collect in the Venturi section. When required, an Envitech wet electrostatic precipitator is used as the final ìpolishingî stage to eliminate extremely fine particles and mist. For cases of low inlet particulate concentration, a wet electrostatic precipitator can be used on a stand-alone basis. The Envitech Venturi scrubber uses process gas water vapor to improve sub-micron collection efficiency. This results in an exhaust with eighty percent less water vapor than a conventional scrubbing system and a nearly invisible stack plume. 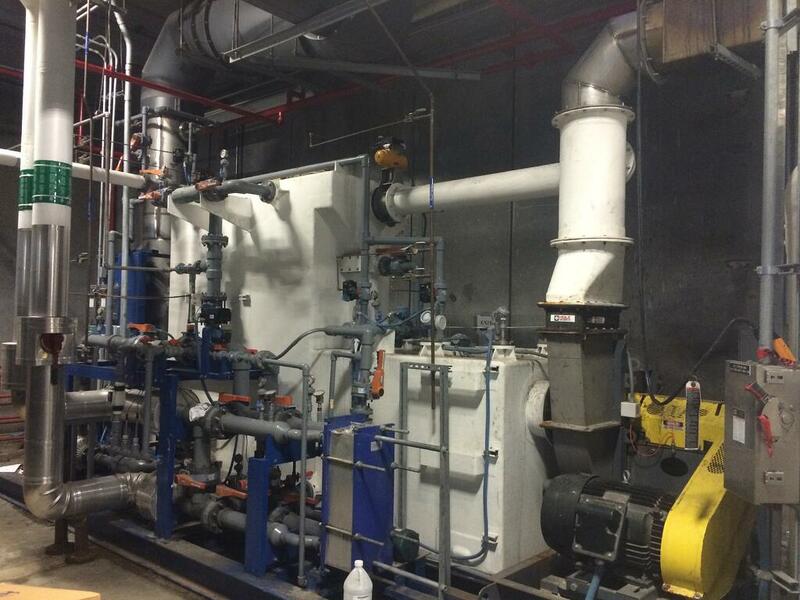 The Envitech Venturi system is ideally suited for hot combustion exhaust streams from thermal oxidizers, kilns, industrial boilers, dryers, or incinerators.